SBS recently broadcast a 'Slow TV' series with The Kimberley featuring as one of the showcased journeys with a cruise from Broome to Darwin spanning some 15 hours of television time. While the voyage was portrayed as somewhat relaxing this is not reflective of the pace onboard the Eco Abrolhos. You don’t have to be young and super fit, or a marathon runner, but aboard Eco Abrolhos the crew offer a vast range of activities that reward guests with a fantastic cross section of all The Kimberley has to offer. Why The Eco Abrolhos Itinerary? At Eco Abrolhos we don’t offer seven or nine day 'Snapshots' or even five day 'Tasters', all eight of our annual Kimberley cruises are the same duration – 13 nights – and this is for a very important reason. We pride ourselves on taking each guest on a complete Kimberley journey – starting at Broome and finishing at Darwin or vice versa. By visiting the key sites regularly the Eco crew know the hotspots, where’s safe to swim, where the wildlife lives, the best fishing holes and where to find the largest variety of birdlife. Our 13 night journeys are not just thrown together on the run. These expeditions are planned over 18 months in advance to correspond exactly with the best tides and moon phases for each voyage. The 13 night duration also enables Eco Abrolhos to set off on a spring tide (the largest tides) and finish 14 days later also on a spring tide. This planning is critical to provide the ship the greatest water depth (and assistance from the currents) to get into places like the Berkeley and King George rivers and give our guests the maximum “Wow factor” and water movement at iconic locations such as Horizontal Falls and Montgomery Reef, all of which are at the start or end of each expedition. The neap tides (smaller tides) during the middle of the trip make for better fishing and crabbing opportunities in the central section and longer stops at the scenic areas like the swimming waterholes, indigenous rock art sites and onshore hikes. With a maximum of 11-metre (37ft) tides, timing is a critical factor everywhere we go in The Kimberley. Each and every one of our eight 13 night Kimberley Expeditions is planned like this; we’ve been doing it for years – and it works!! The four custom-built expedition tenders allow us to intimately explore the Kimberley. We don’t just drive up the rivers and watch the world go by. Our tenders allow us to put you in the action. With 140Hp engines, forward facing central seating and high sides, these are the perfect viewing and photo platforms. The folding front stairs makes boarding comfortable and easy and the full walk-around sides make fishing a breeze. Having multiple tenders allows Eco Abrolhos to cater to the various needs of our guests. Perhaps some of our guests wish to climb the waterfall while others would prefer to explore myriad creeks spotting wildlife. That’s no problem on the Eco Abrolhos. Fishing is always a favourite activity. Our four tenders allow us to split the guests into 4 groups. Usually each tender heads to a different hotspot with their guide. It makes for some friendly banter both over the radio while the fishing is underway and afterwards back onboard the Eco Abrolhos. With all the guides being equal fisherman, the result is never the same. Our captain is very passionate about the art and has over 35 years’ experience in The Kimberley guiding guests to remote art sites. We visit a mixture of Gwion Gwion (Bradshaw) and Wandjina rock art sites. The hikes to get to the art sites range from under a minute to 20-minute climbs up a rocky cliff side. Some of the views from the art sites are just as worthy of the climb. Typically, we visit six to eight art sites during each 13-night cruise. Hikes, treks, bushwalks; call them what you will but they are popular during our cruises and the rewards are well worth the effort. In addition to hikes to the art sites there are multiple walks to fresh water swimming holes, hikes up side tributaries with small waterfalls and rock races, walks into areas to see stunning bird and wildlife and even a walk over a salt flat to an intact DC-3 plane wreck. One of the most active hikes is at the King George River. We only conduct this activity during the first half of the season when there is enough water flow above the falls. The hike starts with a steep incline up the side of a rocky slope before coming out on the rim of the 100-metre high gorge. The walk takes you past colourful wildflowers and along the rim before coming to the top of the iconic 88-metre high twin waterfalls. From there it’s a little further on to a delightful swimming hole on top of the world. We could keep going but by now we hope you get the idea. From pre-dawn starts to capture magnificent sunrises, to full action-packed days and backed up with a large range of post-sunset activities both on and off the Eco Abrolhos, your 13 Night “ACTIVE” Kimberley Adventure Cruise will leave you completely fulfilled with your voyage along the Kimberley Coast. It's not too late to book for 2019! A selection of cabins are still available on Eco Abrolhos's 13 night Kimberley Adventure Cruises during the 2019 season. Prices for the 13-night expedition normally start at $9,823 per person, with single travellers able to travel in their own lower deck cabin without the need to pay a single supplement. Call today to ak us about our best available prices on these remaining cabins. For bookings and information please call the team at Expedition Cruise Specialists on 1800 90 20 80 today. 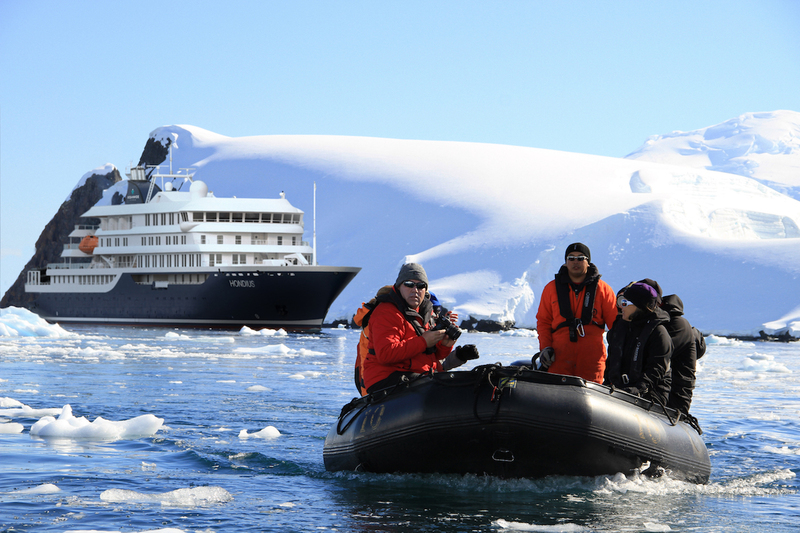 Availability is current as at 10 April 2019..
Australia’s leading polar expedition cruise operator Aurora Expeditions has this week announced the 2020/21 Antarctic and Arctic cruise schedules for their new state-of-the-art expedition ship the Greg Mortimer. A highlight of the announcement was more detail about their once-in-a-lifetime 22 day ‘Solar Eclipse in Antarctica’ expedition which will depart Ushuaia in Argentina on 24 November 2021. 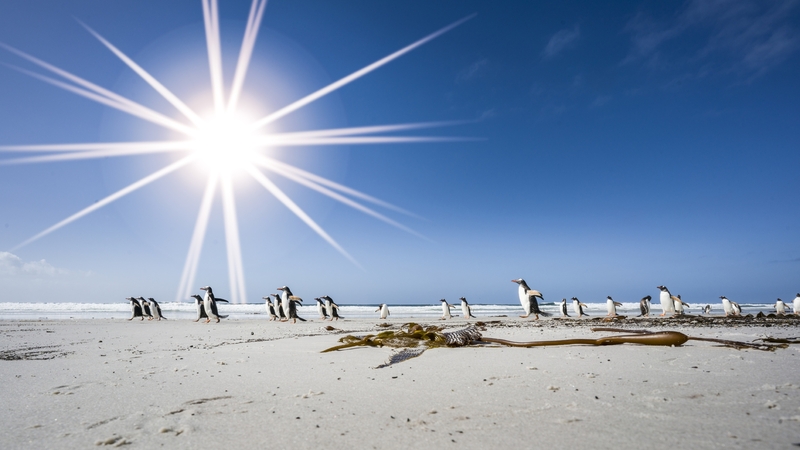 Although total solar eclipses occur somewhere around the world every 12 - 24 months, it is indeed a very special opportunity to experience one over the white continent on a cruise that also calls in at the wildlife-haven that is South Georgia and the Falkland Islands. Departing from Ushuaia in Argentina, the Greg Mortimer will cross the famed Drake Passage, putting her unique X-Bow design to good use (the innovative bow design promises to reduce up and down movement and ‘roll’ in rough seas). On arrival at the peninsula guests will enjoy time to land on the ice, calling at sites including Lemaire Channel and ‘Kodak Alley’ and having close up encounters with Gentoo Penguins. The next stop on the voyage will be four full days spent exploring the iconic South Georgia islands. South Georgia is renowned for incredible wildlife experiences, including Salisbury Plains, home to one of the largest King Penguin populations at over 100,000 pairs. There’s also the opportunity to pay respects at the grave of legendary polar explorer Ernest Shackleton and Godthul, replete with its bleached whale bones, colonies of fur seals and penguins just ‘hanging about’. 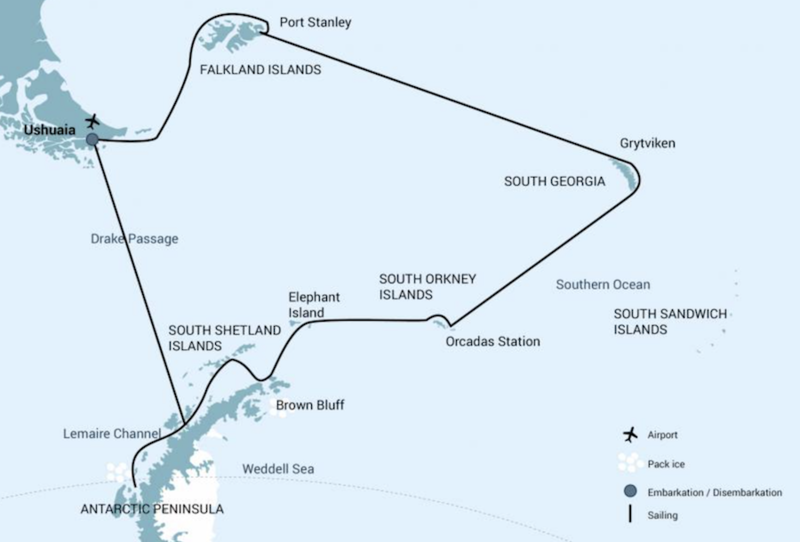 The Falkland Islands mark the final stop of the voyage, before the expedition wraps up back in Ushuaia on 15 December 2021. Launching in October 2019, the 104-metre Greg Mortimer is Aurora Expeditions’ first purpose-built expedition vessel. Most striking is her unique X-Bow design, a feature said to ensure even the most fearsome crossings (such as the Drake Passage) can be made in relative comfort. On the inside, travellers will savour all of the comforts of home, include spacious staterooms, all with private en suite, and many with private balcony. There’s also an open seat dining room that accommodates all guests in one sitting, and a top deck bar / lecture room to sit back and enjoy panoramic views. 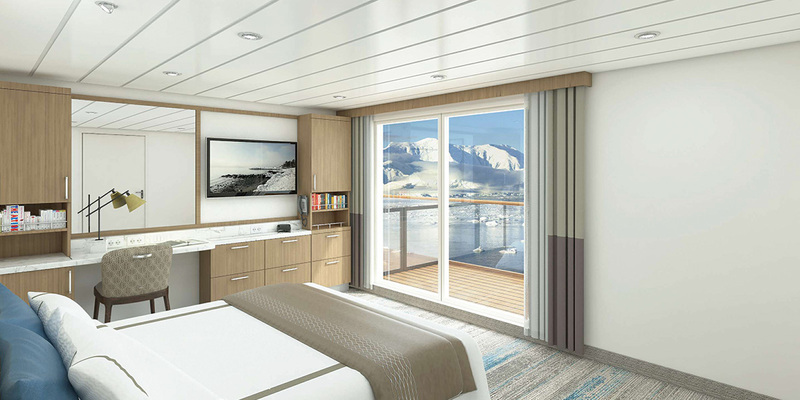 Experiences expeditioners will appreciate the dedicated mudroom (with individual lockers for all travellers) and innovative hydraulic viewing platforms which slide out from the side of the ship allowing up-close experiences with passing whales and icebergs. 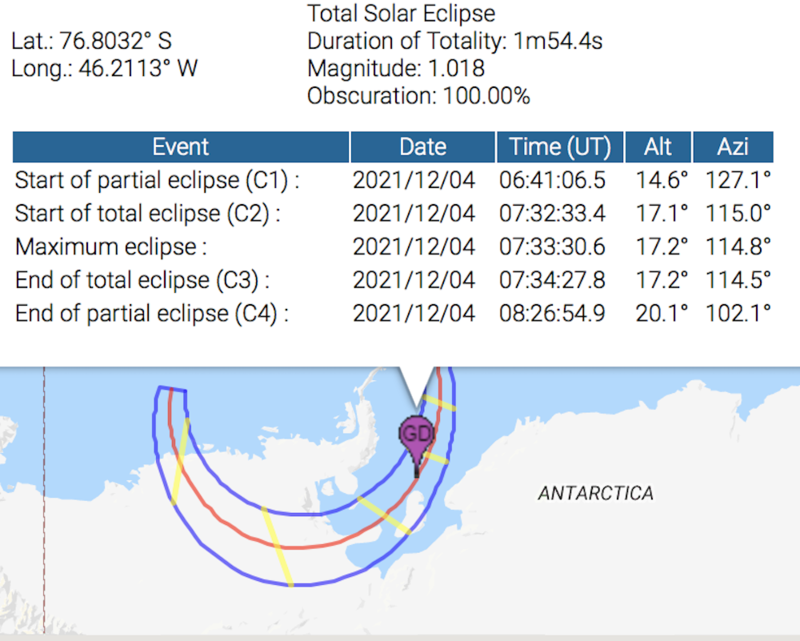 Prices for the 22 day ‘Solar Eclipse in Antarctic’ voyage start at USD 23,700 per person in a triple share stateroom through to USD 29,600 per person in a twin share Balcony Stateroom and USD 51,200 per person (twin share) in the Captain’s Suite – which we should point out is not actually sharing with the Captain! And, when you book before 31 March 2019 there’s also some great Earlybird Savings on offer – call us for details today. Limited to no more than 120 expeditioners aboard the new Greg Mortimer, this unique journey is sure to sell quickly. For more information contact our Antarctica Cruise Specialists today on 1800 90 20 80 or send us an email for pricing and availability. Click here to read about three more great Antarctica Eclipse cruises aboard the new Hondius, Ortelius and Plancius. If you’ve got your eye on an expedition cruise to Antarctica in the next few years, you might just want to clear your calendar for November / December 2021. A total solar eclipse will occur over Antarctica on 4 December 2021, so don’t miss your chance to see one of Earth’s most wondrous cosmic events in one of Earth’s most magnificent locations. Though total solar eclipses occur somewhere in the world once every 18 months or so, they can only be seen along a very narrow path, so you need to ensure you're positioned right on the centre-line of the eclipse to experience full totality (total darkness during the day). And that’s exactly what you will get when you join a luxury small ship cruise down to Antarctica for this eclipse. You’ll enjoy a prime viewing position to see the moon transition in front of the sun, with 1 minute and 54 seconds of total darkness expected. Of course, while the eclipse is without doubt a major highlight of this expedition, you will also enjoy all that Antarctica otherwise has to offer. Three of the ships making this voyage will be the ice-strengthened Plancius (116 passengers), Ortelius (116 passengers) and the world's first Polar Class 6 expedition ship, the soon-to-be-launched 174 passenger Hondius. 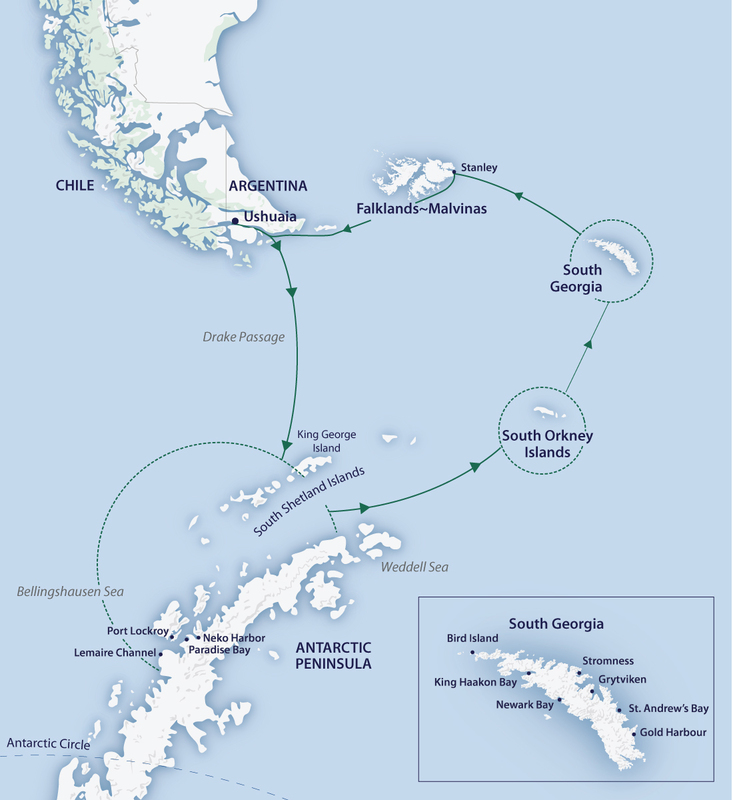 The full voyage takes 20 days and will visit the Falkland Islands, South Georgia and the Antarctica Peninsula. On the morning of the eclipse, each of these ships will be positioned on the centre-line of the moon’s shadow, at the edge of the sea ice in the Weddell Sea, between the South Orkneys and South Georgia. Aboard Hondius - Limited Cabins Remaining! Launching in 2019, the 174 passenger Hondius is the world’s first-registered Polar Class 6 cruise ship. 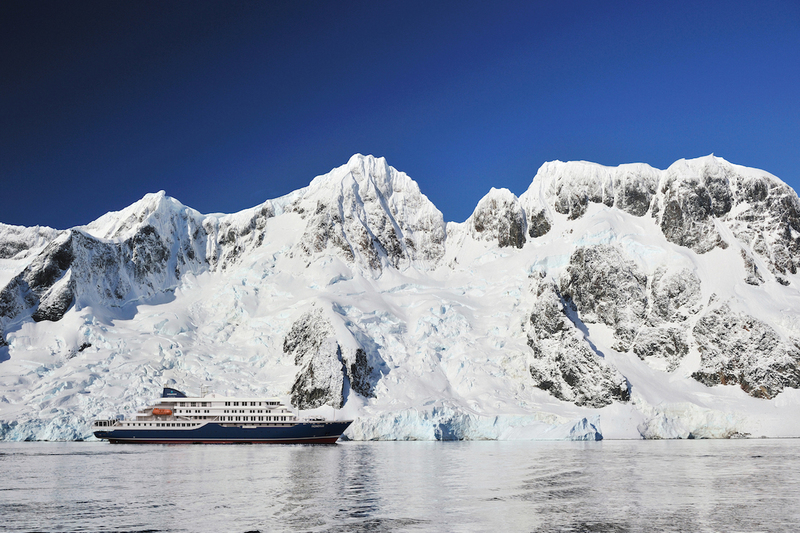 Technologically-advanced with excellent eco-tourism credentials, the Hondius sets a new standard in polar cruising. Aboard Ortelius - SOLD OUT! Launched in 1989 as Marina Svetaeva for the Russian Academy of Science, Ortelius caters to just 116 guests and is ice-rated to the highest levels (equivalent to 1A) and is therefore very suitable to navigate the ice packs of the Polar regions. Aboard Plancius - Limited Cabins Remaining! The ice-strengthened 116 passenger vessel Plancius is an excellent vessel for polar expedition cruises in both the Arctic and Antarctica. Single travellers are accommodated on each ship upon payment of a single supplement of between 70% and 100%. The goal on this itinerary is of course to experience the total eclipse, but please keep in mind the polar regions are known for their unpredictability. There’s always the chance overcast skies may hinder visibility and that adverse conditions may alter certain details of the pre-planned route. Plancius and Ortelius are scheduled to make the trip clockwise, while Hondius will make it counter-clockwise. Over the next two years we’ll be seeing some exciting advancements in expedition cruising, with several new ships taking to the water. And, if you’re planning a trip to the polar regions this will be particularly good news for you, with at least three state-of-the-art ships due to launch during 2019/20. Previously we’ve told you about the new polar ships currently being built for both Aurora Expeditions (The Greg Mortimer) and Lindblad Expeditions (National Geographic Endurance), and today we’d like to provide you with an update on the new Hondius, currently under construction in Croatia for Dutch polar operator Oceanwide Expeditions. Hondius is set to become the fifth ship in the Oceanwide fleet and - upon launch - will become the first ever vessel to achieve Polar Class 6 standards. Her ice-strength means she can venture into the deepest of polar regions, beyond the capability of other ships. She’s also designed to be exceptionally friendly to the environment as well, exceeding the latest green requirements imposed by the International Maritime Organization, using only bio-degradable paints, LED lighting, steam heat, and flexible power management systems to keep fuel consumption and CO2 emission at the absolute minimum. Onboard, Hondius will accommodate up to 174 explorers (and 72 crew) in style, and just because you’re sailing through the least civilised locations on Earth doesn’t mean your on-board experience has to be uncivilised. As a Hondius guest, you will enjoy cuisine, surroundings, and service that starkly contrast the rugged world just outside your window. 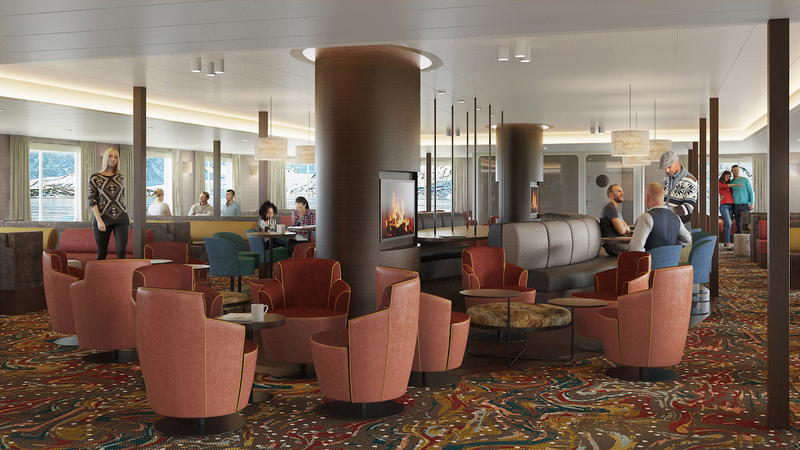 A sizable observation lounge, fully provisioned bar, and separate library room guarantee that what time you spend on board will be spent comfortably entertained. Hondius also offers a choice of eight different levels of accommodation, with porthole cabins (quad, triple and twin) available for the budget-conscious and families, through to Superior Cabins, Junior Suites and the ultra-luxury Hondius Suite. Custom-designed and impeccably outfitted in stylish mid-century modern décor, you’re sure to be impressed by the look and feel of your cabin. Hondius’s 2019 Antarctic schedule has just been released, and you can be one of the very first to experience this new state-of-the-art vessel. 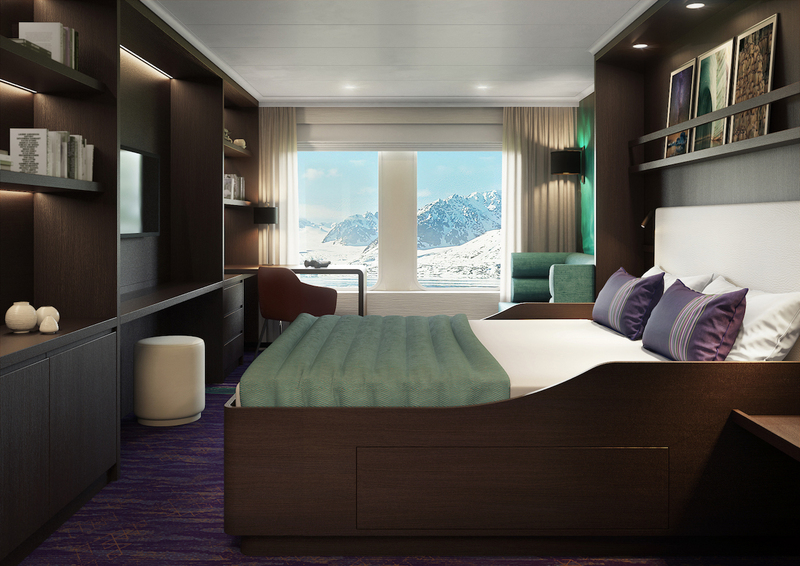 Her inaugural voyage is a 20-night expedition departing 3 November 2019, and there’s still cabins available, starting at USD $12,500 per person in a Quad-Share cabin or USD $15,700 in a Twin Window cabin through to USD $24,900 per person in the exclusive Hondius Suite. For more information about Hondius’ inaugural Antarctica season - and her soon to be announced 2020 Arctic season of sailings - call the expert team at Expedition Cruise Specialists today on 1800 90 20 80 (within Australia) or +61 7 4041 2101. The 102-passenger National Geographic Orion is a familiar expedition ship to many Australians, having been based in our part of the world for several years while she was operating under the Orion Expedition Cruises banner to locations including the Kimberley, Papua New Guinea and the South Pacific. After farewelling Australian waters a few years ago now, Orion was integrated into leading North American expedition company Lindblad Expeditions’ fleet as the National Geographic Orion. She has quickly become a staple down in the Antarctic region, offering cruises from South America during the peak Antarctic months of November to March, filling in the rest of the year with a series of European cruises during 2017 and a full schedule planned for the South Pacific (Tahiti, Fiji, Kiribati) between March and September 2018. 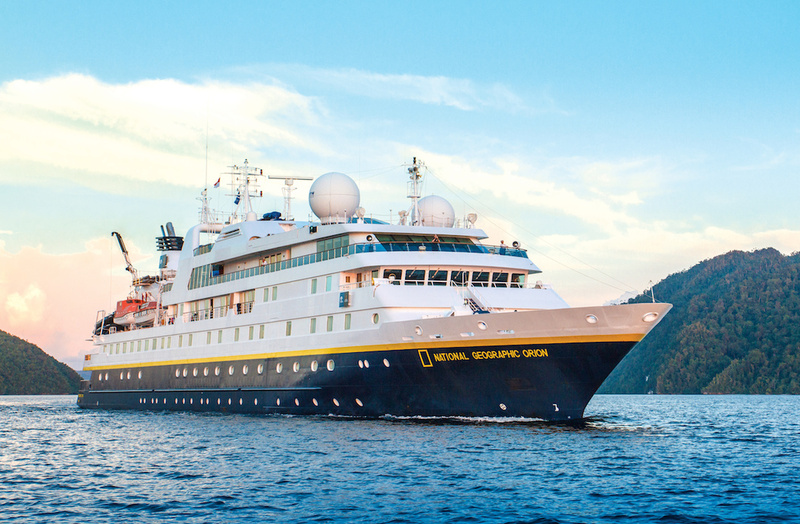 And now, just this week, we’ve been handed details of an exciting new schedule of departures for National Geographic Orion in 2019, focusing on the Bering Strait and Russian Far East. What’s particularly exciting about these voyages is that they are to regions which have been notoriously hard to reach in the past. 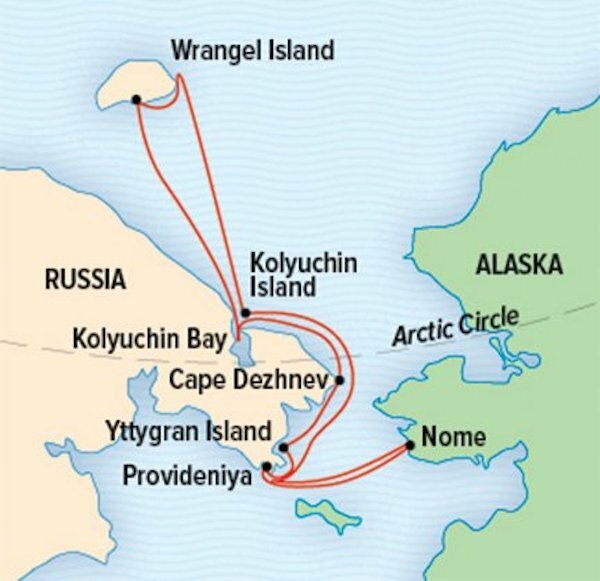 For example, the Siberian Coast and Wrangel Island are bucket-list destinations for expedition cruisers, however there’s only ever been a couple of departures a year aboard the sturdy little Spirit of Enderby to cater to the growing demand. Here’s details on the three different programmes on offer. If you’re interested in securing a berth we encourage you to get in early as there is only limited space and we expect these new programmes to be filled quickly by Lindblad’s large North American customer base. 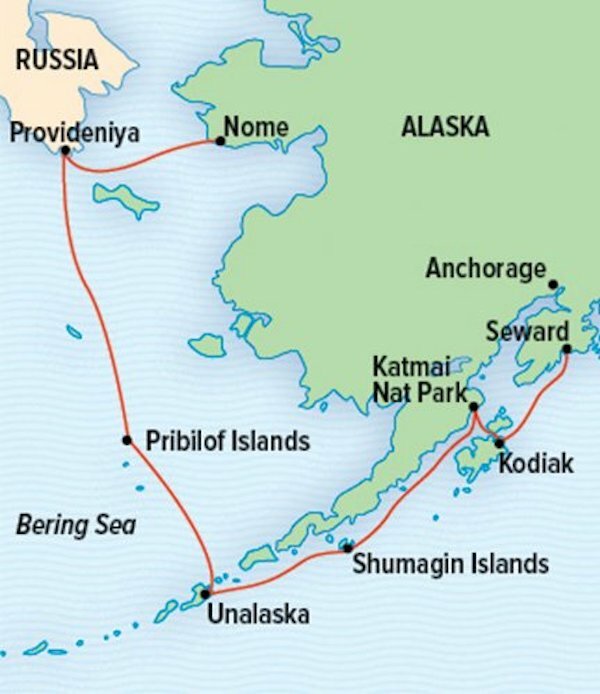 This 13-day itinerary explores the Bering Strait, a body of water separating the United States from Russia. While most of the voyage is spent in US waters, there is a brief crossing into (and landing) in Russia in the town of Provideniya. Other highlights of the expedition include exploration of the Pribilof Islands – home to about half the world’s population of fur seals, brown bear spotting in Katmai National Park and rarely-visited Kodiak and Shumagin islands. This is the voyage that we’re perhaps most excited about. Not only does it cross the Arctic Circle into the Russian High Arctic, there’s also time spent exploring remote villages and towns on the Siberian Coast and, to top it all off, a four-day expedition around Wrangel Island Reserve, a UNESCO World Heritage site dubbed the ‘polar bear nursery'. 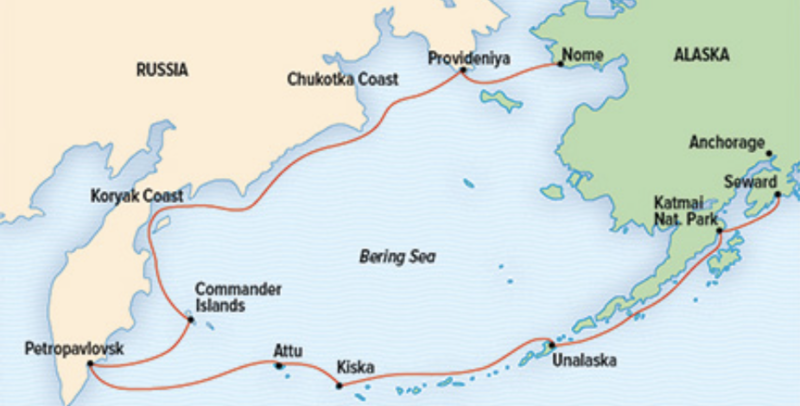 For those with a bit more time, this 3,800-nautical mile journey almost circumnavigates the Bering Sea and explores one of the most rugged and wildlife-rich regions of the planet. You will have the chance to spot coastal brown bears from Katmai National Park to the Kamchatka Peninsula, search for Steller’s sea eagles along the scenically stunning Zhupanova River and marvel at the abundance and variety of marine mammals and seabirds from the Aleutians to the Commander Islands. 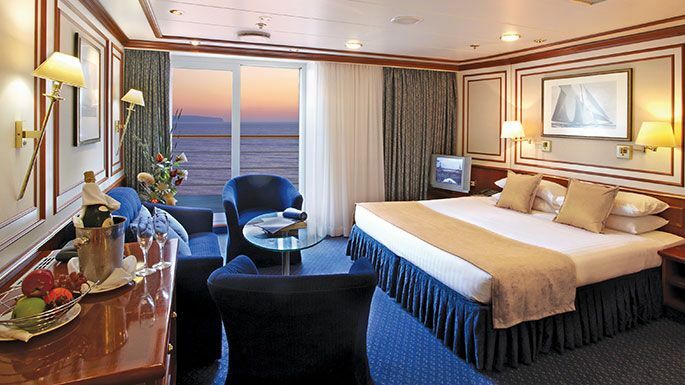 National Geographic Orion accommodates just 102 guests in 53 staterooms and suites, nine of them with balconies. She is equipped with a full complement of cool tools to explore the environment, including kayaks, 14 heavy-duty Zodiacs, and an ROV. Her size and nimbleness offer the perfect combination of safety and the liberty to voyage untrammeled locations, where large cruise ships and less experienced expedition teams cannot go. "To say that these ten days have been wonderful is an understatement, one could properly only speak in superlatives! Green islands, blue seas. We will definitely be back!" "Whether you're a group of friends planning a private charter on the Kimberley coast, or just a single or couple joining a scheduled departure, the Kimberley Pearl offers a truly intimate cruising experience."